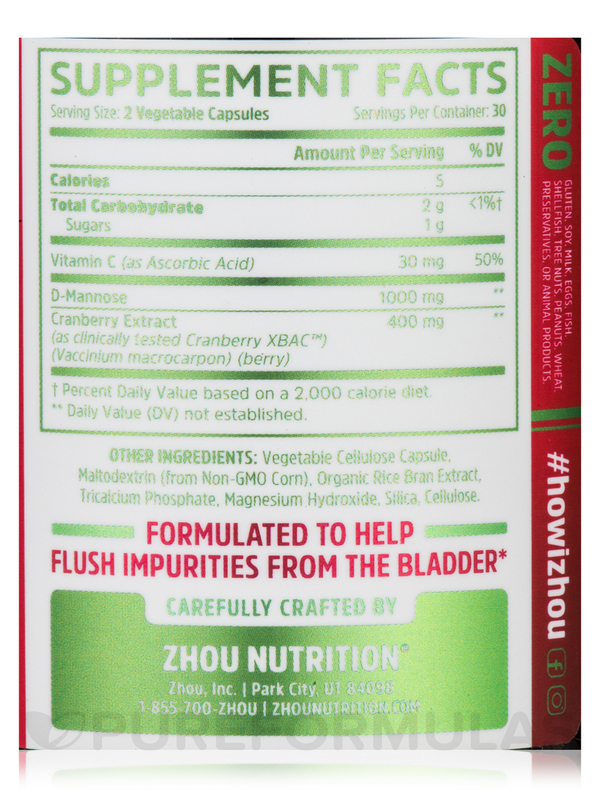 3X Urinary Tract Formula: When you need urinary tract support‚ look to this premium formula. 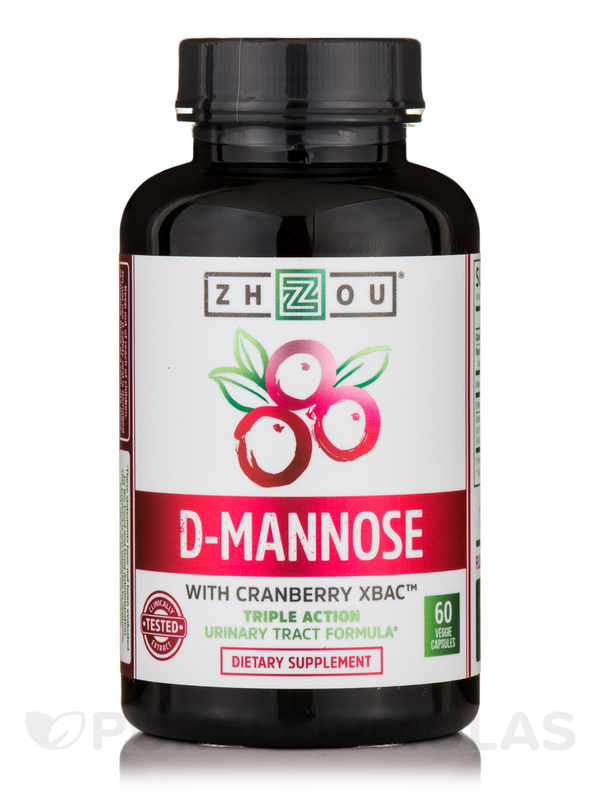 You can trust the triple action support of cranberry extract‚ D-Mannose‚ and vitamin C to get the job done. 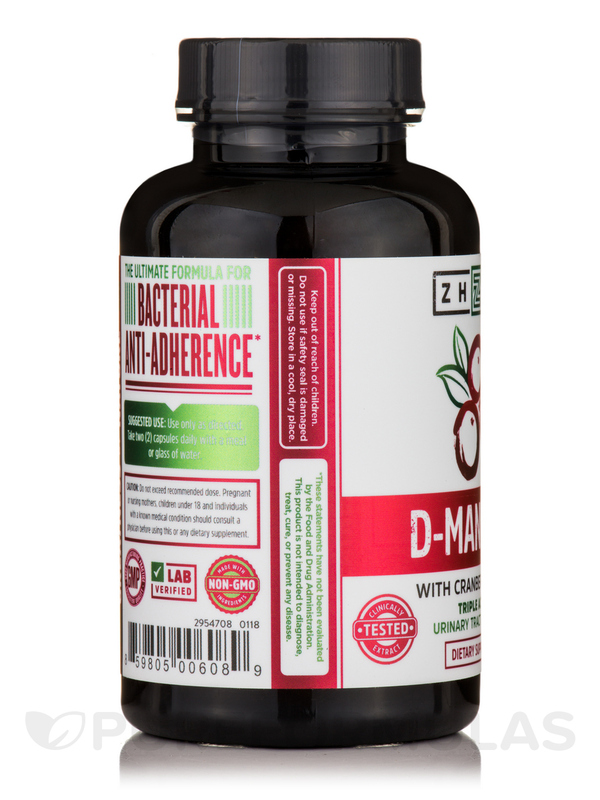 The clinically tested cranberry extract in this formula (Cranberry XBAC™) helps prevent bacteria from adhering to the lining of your urinary tract; concentrated D-Mannose (found in berries) helps to flush impurities out of your bladder quickly; vitamin C provides antioxidant power to help improve results. 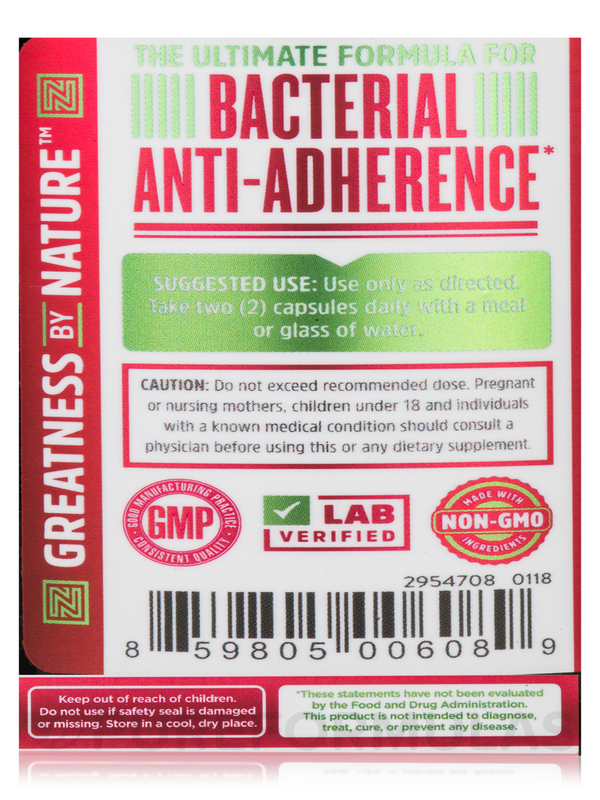 Clinically Tested Extract: Cranberry XBAC™ is a potent‚ trademarked cranberry extract that has been clinically proven to contain the anti-adherence factor necessary to prevent problematic bacteria like E. coli from adhering to the lining of your urinary tract. 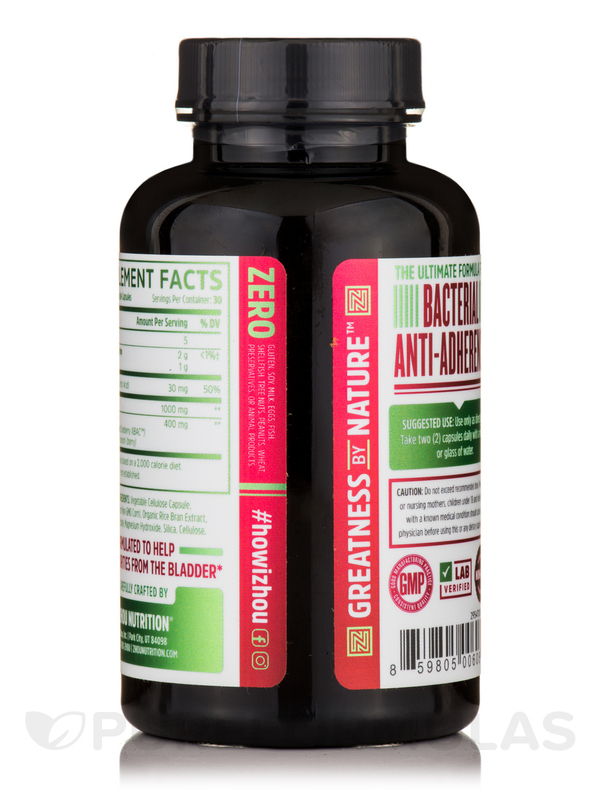 Don't take chances on generic cranberry extracts or powders when you need a powerful urinary tract formula. 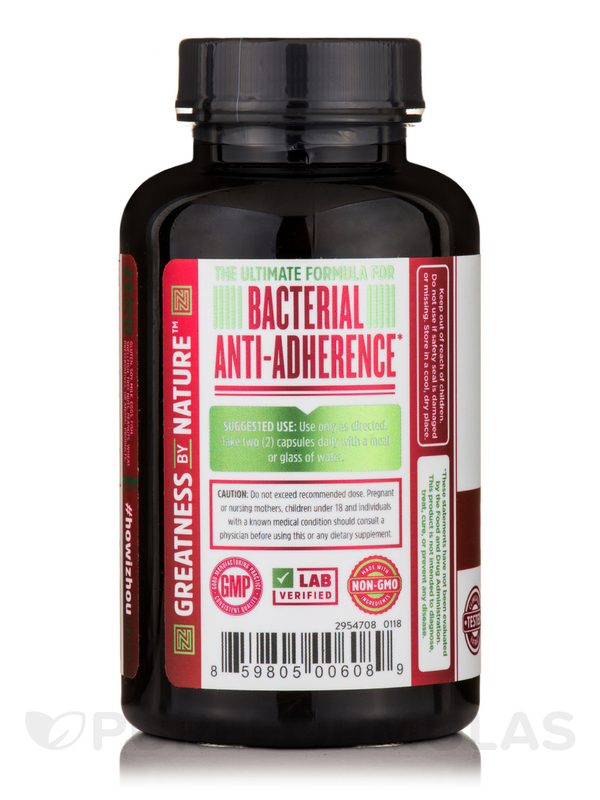 You can have confidence that every capsule has the potency and anti-adherence factor that you need to fight bacteria. Superior to Juice: It's true that cranberry juice and juice cocktails can offer benefits for urinary tract health. However‚ both add excess calories and sugar to your diet and drinking enough juice to make a difference is simply impractical. That's why the most effective way to obtain the health benefits of cranberries is through dietary supplements‚ which can offer much higher doses in convenient capsules and include complementing ingredients (such as D-Mannose) for optimal results. Other Ingredients: Vegetable cellulose capsule‚ maltodextrin (from Non-GMO corn)‚ organic rice bran extract‚ tricalcium phosphate‚ magnesium hydroxide‚ silica‚ cellulose. No: Gluten‚ soy‚ milk‚ eggs‚ fish‚ shellfish‚ tree nuts‚ peanuts‚ wheat‚ preservatives‚ or animal products. Use only as directed. 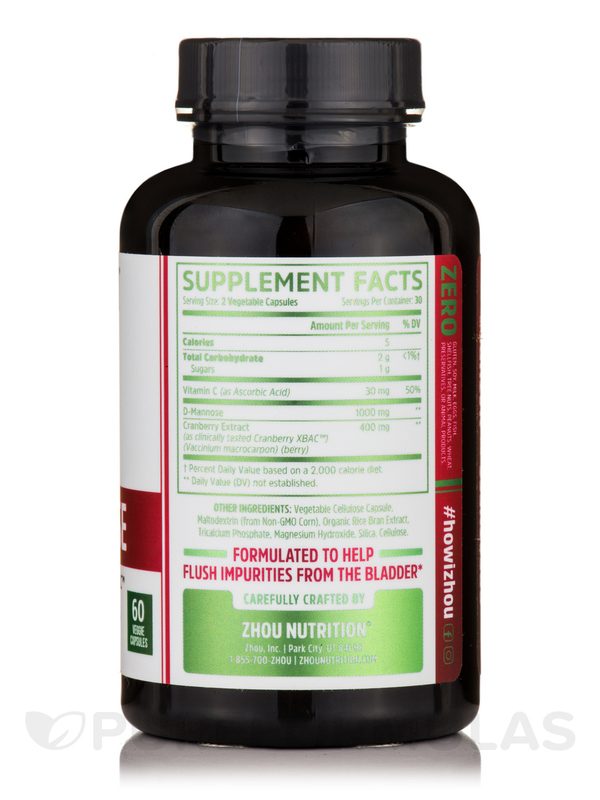 Take two (2) capsules daily with a meal or glass of water.